“Zhu Chi, a 34-year-old TV host, shopped for clothes on her phone before falling asleep. The photographer @klaudialech photographed her for a story about “shengnu,” which means leftover women. The term, which is widely used in China, refers to unmarried women who are over the age of 27. Official news reports estimate that there are 20 million more men under 30 in China than women. But many of these men work as farmers in rural villages and have little income. Chi told @klaudialech that she didn’t want to marry someone who was less successful than she was. 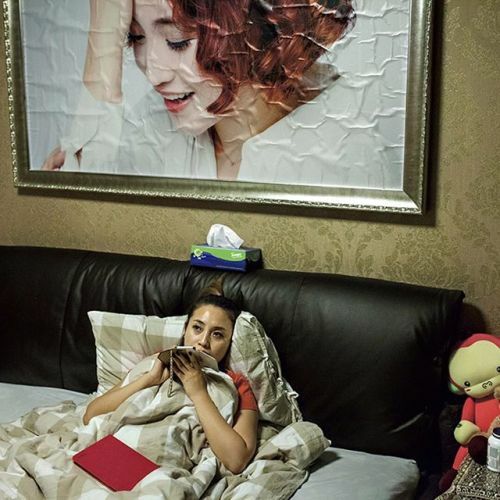 This #nytweekender, we’ll be sharing more of @klaudialech’s photos from China. #lensblog” By nytimes on Instagram.